This is a guest post by Daniel Ross. He is part of the marketing team at Roubler — a scheduling and payroll software platform founded in Australia. Their mission is to change the way the world manages its workforces. Employee recognition means much more than the occasional acknowledgement that somebody did a good job. 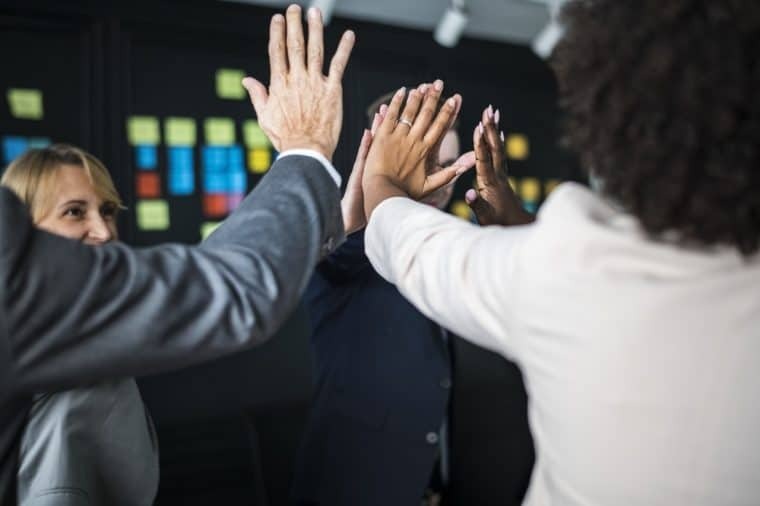 When employees are recognized for their contributions at a deeper level, it does wonders for morale and helps your workforce to measure progression within their roles. Rewarding employees for their achievements serve as a demonstration that you truly appreciate them. It’s a case of ‘actions speak louder than words’… and such actions can motivate your employees in a big way. The way you go about recognizing and rewarding your employees can have a big impact on the success of your organization. The question is, will that impact be positive or negative? Get it right and your organization will thrive. Get it wrong and you could have a demotivated and suspicious workforce on your hands. It is not only the employees that benefit from your recognition of their achievements. Recognition serves as a form of guidance that helps employees to determine what they are doing right. They are much more likely to adopt similar attitudes and strategies in their future projects if they truly understand what pleases their employers. Most employees want to know that they are doing a good job. It helps them to feel that they’re part of something, contributing effectively to the organization. When they are recognized for their contributions, working days feel more worthwhile; this also encourages them to focus on progression in their careers. Recognition does wonders for employees’ self-esteem, leading to a happier and more productive workforce. An effective employee recognition system should allow for regular rewards. If you only do it once a month, people will lose focus more easily. Employees will still benefit, of course, but the organization as a whole is less likely to. That is because such infrequent recognition isn’t enough to reinforce positive behaviours. When developing a recognition and reward process, it is sensible to keep the interests of both the employee and the organization in mind. The way you recognize your employees’ contributions is very important if they are to feel truly appreciated and consequently motivated. The first step is to determine the criteria you will use to measure performance. You will need to remain consistent with all employees so as not to leave some feeling underappreciated. Having a structure in place with which to assess employee performance and contributions means that you’re less likely to miss anything important. Exclusion or omission, however inadvertent, could seriously undermine morale. It is also necessary to be very clear with employees about what you would like them to do. This is equivalent to providing guidelines that they can follow in order to succeed. It is important to be as specific as possible; let them know which behaviours and actions will be eligible for recognition. For example, these might be related to customer feedback, meeting targets, or successful conclusion of projects. One way to do this is to set up group or individual performance planning meetings so that you can indicate which accomplishments and goal achievements are likely to be recognized and rewarded. It is not a good idea to allow managers to decide on who should receive recognition and rewards. This approach may eventually lead to suspicion of favouritism, which is a definite morale killer. Another issue might be that employees get the impression that everyone will be rewarded in due course… that it is simply a matter of time before they receive their reward. Neither of these scenarios is motivating. It makes more sense to pick random selections from those who were eligible for a reward on each occasion. People tend to appreciate a surprise, rather than becoming accustomed to receiving. Be aware that when certain employees are particularly adept at meeting your criteria, very regular rewards can in some cases lead to a sense of entitlement. It is also wise to be transparent about your selection process. The mystery leads to demotivation for those who have failed to meet the criteria. They may have little understanding of where they’re going wrong. Similarly, voting is a no-no – it puts certain employees at risk of always being left out, so should be avoided. Lastly, you should be careful to make sure that the rewards offered are consistently commensurate with the achievements you’re recognizing. It is a good idea is to keep a random selection of rewards from which eligible employees can choose their preferred item. Good reward ideas might be wine, chocolates, hampers, restaurant vouchers, spa days, experience vouchers, gift certificates or even cash. As employees get to choose their own reward, favouritism is rarely suspected. It is useful to have supervisors write thank you notes to the winners, with an acknowledgement of what they did to become eligible. These notes can be stored and used by the employees to help with promotions or future employment, etc. Once per month, perhaps you could reward team efforts. It can be a good idea to recognize and reward a whole team if they have done particularly well. For example, you could take them out to a restaurant or give them vouchers to go and do something fun as a group. You could also schedule events aimed at recognizing employees, so that the experience is fun for everyone, and your staff have something to look forward to. If regular rewards are going to pose a problem for company finances, consider approaching it a little differently. You could make a habit of gathering the names of all of the eligible employees and drawing one or two from a hat. Be transparent about the random selection process, how often it will happen, and how many employees will be receiving a reward. When approached properly, an employee recognition and reward scheme are very beneficial for both the organization and the business itself. Every organization thrives when employees are motivated and productive. By showing genuine and consistent appreciation, you can expect a positive working environment and high-achieving staff. Question: How do you usually recognize and reward your employees? You can leave a comment by clicking here.